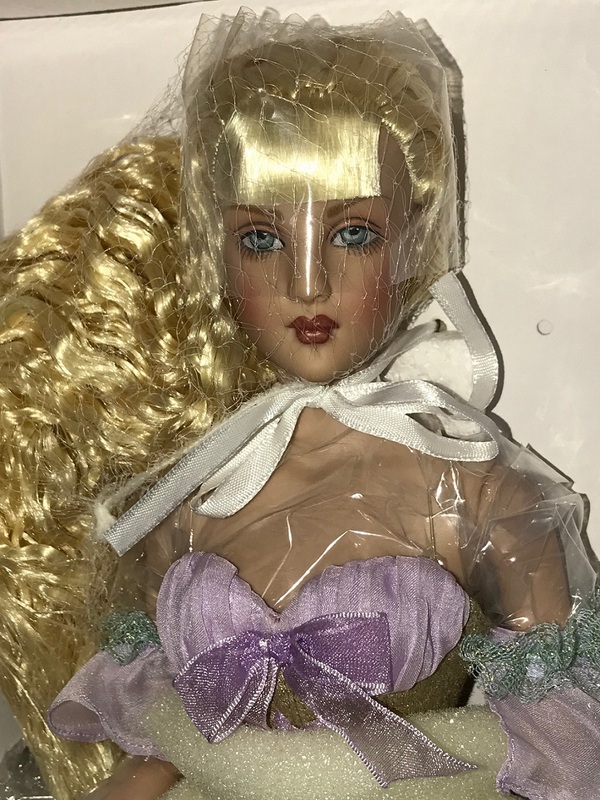 Beautiful doll never removed from box. She was packaged with a hair net and a protective plastic face mask. This made it difficult to photograph her without getting glare on her features. Her hair is a uniform blonde and her skin is a lovely tone closer to the full body photo. 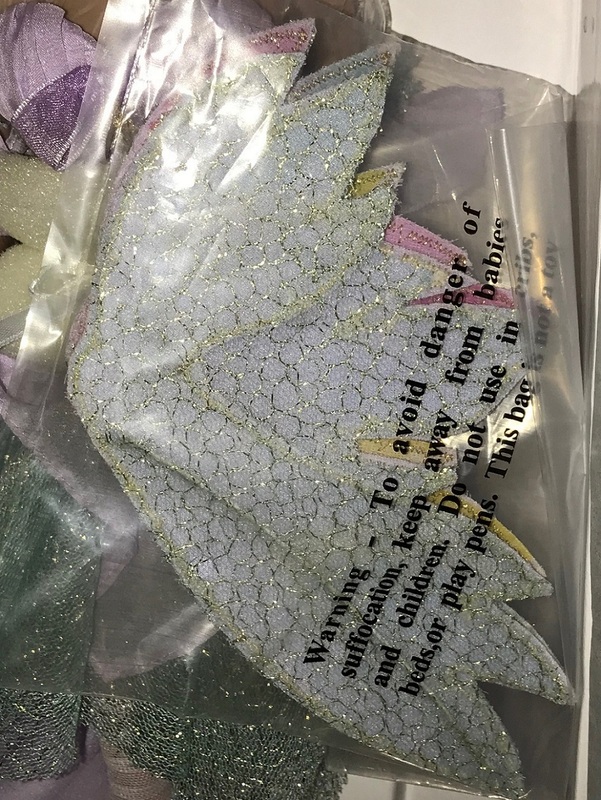 Her ethereal fairy costume features a gold and lilac bustier paired with a multi-textured skirt of lilac silk and aqua tulle threaded with silver. 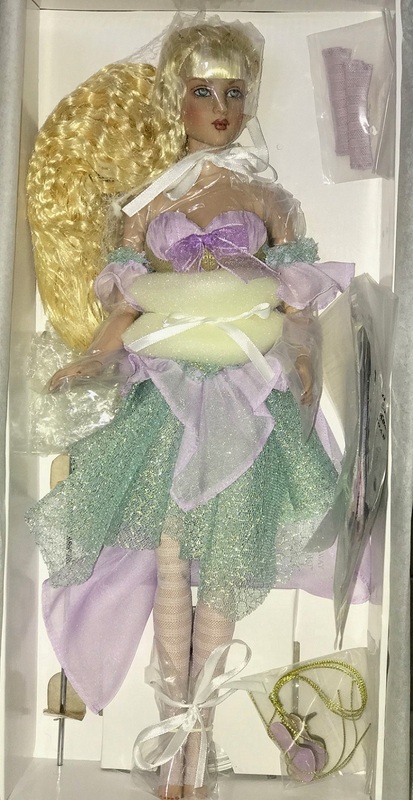 Her costume also includes lilac tights; gold lace-up heels and sparkle wings (still sealed in plastic attached to side of box). Includes display stand.